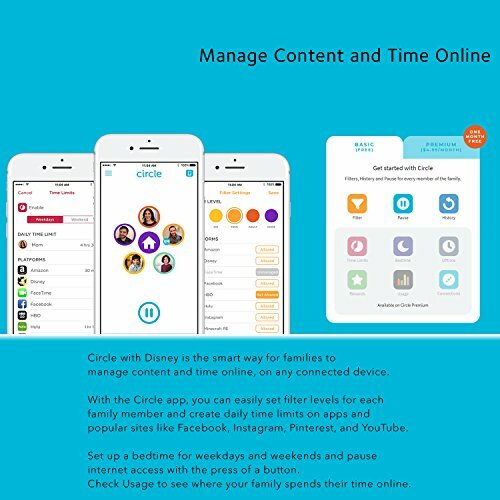 Product prices and availability are accurate as of 2019-04-16 18:41:33 EDT and are subject to change. Any price and availability information displayed on http://www.amazon.com/ at the time of purchase will apply to the purchase of this product. 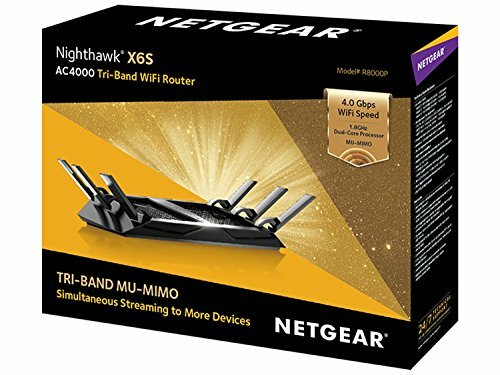 The Nighthawk X6S AC4000 Router, with breakthrough Tri-band WiFi and multi-user MIMO (MU-MIMO) is ideal for simultaneous streaming to many WiFi devices in your home. The X6S offers the fastest combined WiFi speed up to 4Gbps, and is powered by a powerful 64-bit, dual core 1.8GHz processor with three offload processors. 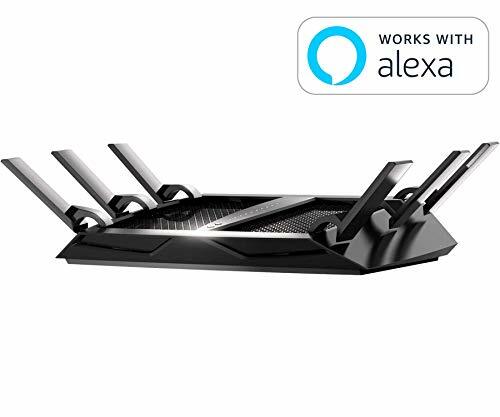 Enjoy fastest WiFi speed throughout your home with less lag and less buffering as you game, stream and surf. 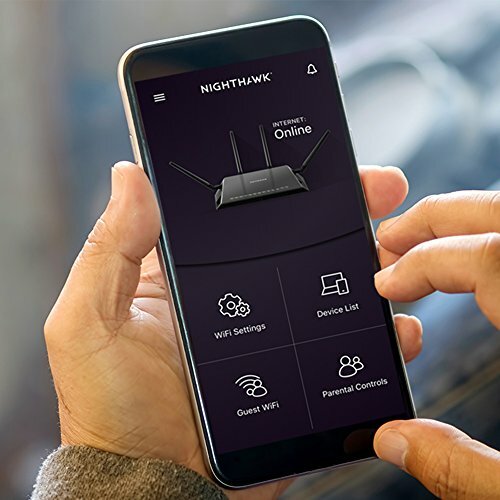 Access and control your router from anywhere using features such as NETGEAR Nighthawk App, ReadyCLOUD and OpenVPN. Control your home network with voice commands using Amazon Alexa and the Google Assistant. 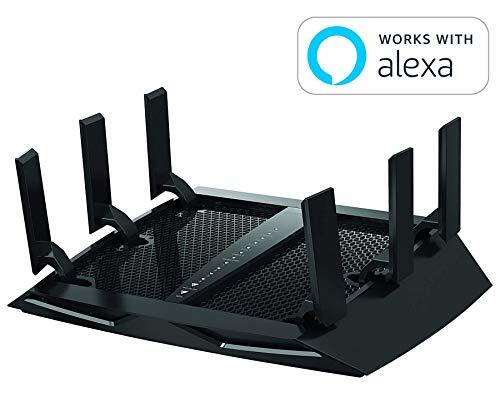 AC4000 WIFI-Up to 750+1625+1625 Mbps wireless speed TRI-BAND WIFI - Avoids interference & optimizes network performance MULTI-USER MIMO (MU-MIMO)-For simultaneous streaming to multiple devices POWERFUL 64-BIT DUAL CORE 1.8GHZ PROCESSOR + 3 OFFLOAD PROCESSORS - Next generation processor to handle data intensive applications and for better video streaming, lag-free gaming, surfing, and more Compatible with Amazon Echo/Alexa - Control your home network using voice commands FAST BACKUPS - Two Ethernet ports can be aggregated for > 1Gbps wired speeds GIGABIT INTERNET READY - Built to support gigabit WAN to LAN speeds. Refer to the PDF attached below in Technical Specification for Manuals.